Hi, everybody! 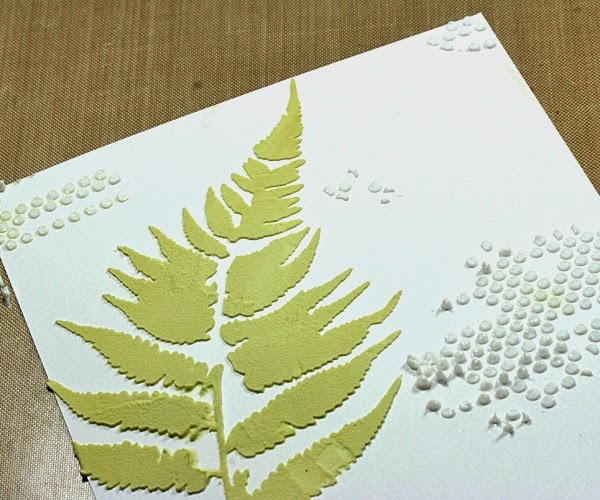 It's Broni here today with my project for this month's ePlay challenge: Embossing. 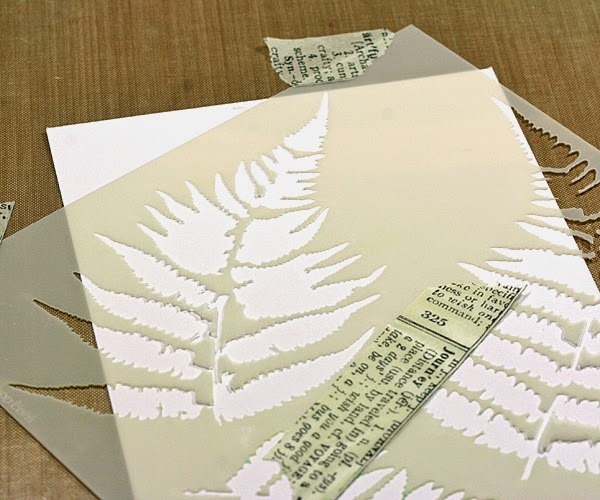 It's a simple card but I just love the dimension that embossing gives to any project. 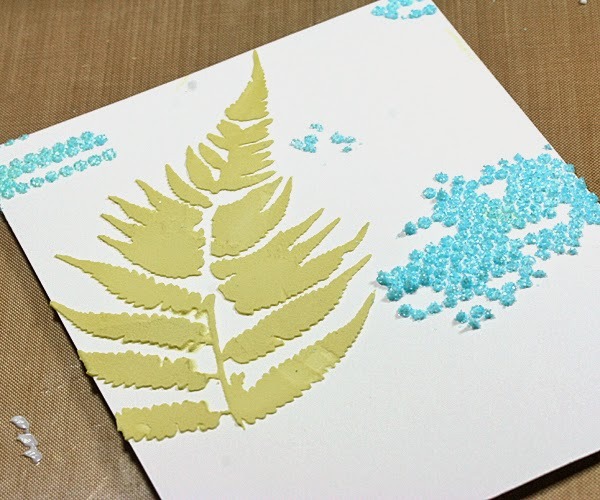 I started by placing my Mini Ferns stencil onto my card stock. I used some Ranger tissue tape to hold it in place. I pressed my Shabby Shutters ink pad onto my craft sheet then mixed in some white embossing paste with my palette knife. 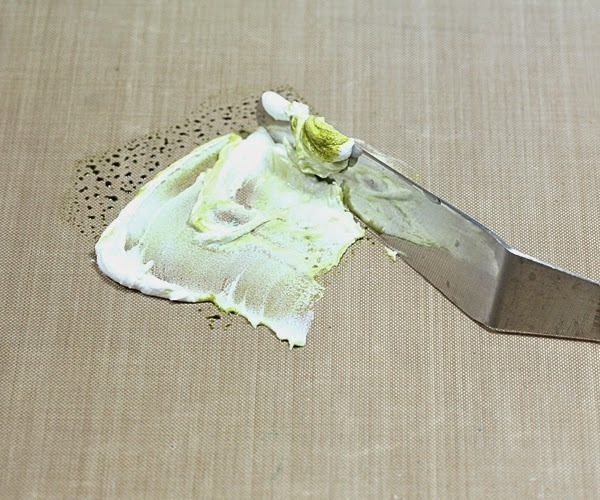 I spread it lightly and evenly through the stencil. Next I added some translucent embossing paste using the Tiny Circles stencil, and sprinkled on some Tumbled Glass Distress Glitter. 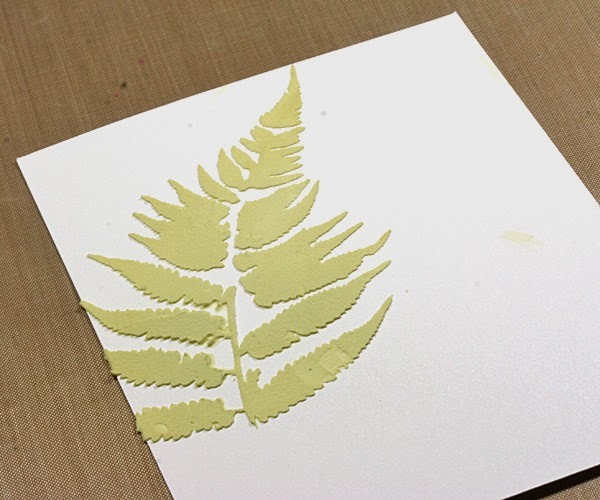 Using my water brush and some Peeled Paint ink I added some shadows to the embossed fern after it had dried. The last step to complete my card front panel was to distress and sponge the edges with Tumbled Glass ink and a mini ink blending tool. I added a hand cut flag and used one of the pieces of tissue tape on it that I had used to tape the stencil down. No waste! I used my Mini Attacher to attach a piece of Film Strip Ribbon, then added my die cut Happy using foam mounting tape. And that's it! 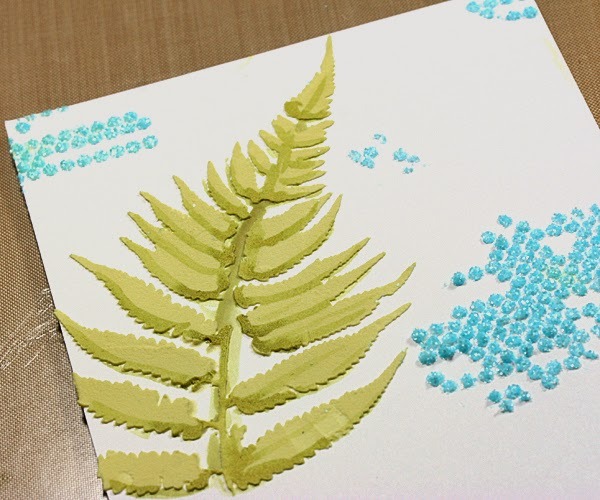 My ePlay challenge: Embossing project! I hope you'll play along too! Clever you! 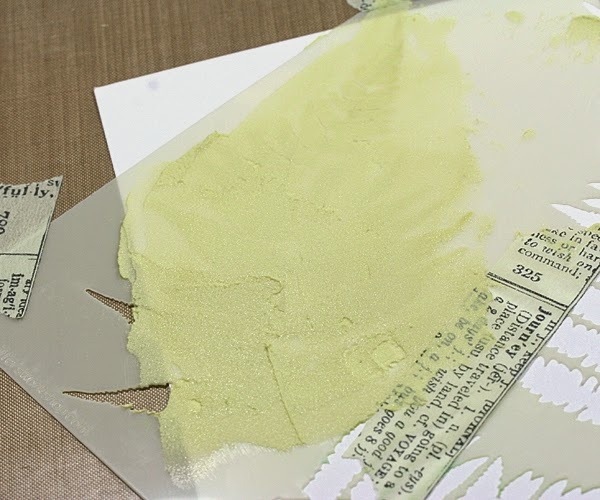 I would never have thought to add distress glitter to Embossing paste. It looks wonderful. Love the dimension and texture on this delicate card. Really beautiful design. 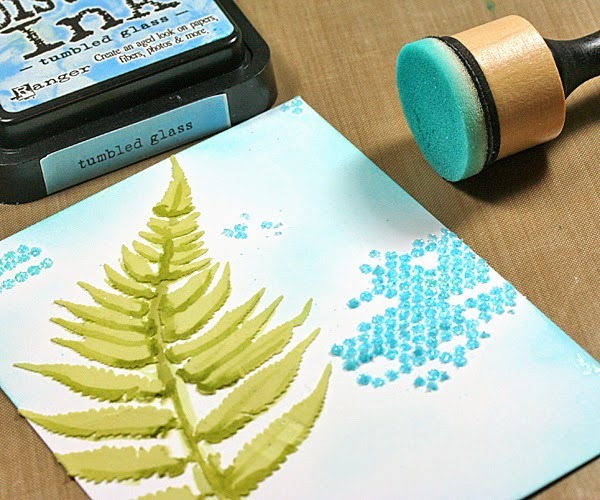 Oohhhh distress glitter to embossing paste..... awesome (must try that :-). Card is beautiful. Love the depth and texture and love those colors. Awesome job Broni love the color combo you chose!! This is gorgeous :) love the colors and the texture u created on this card ! I ADORE this Broni! 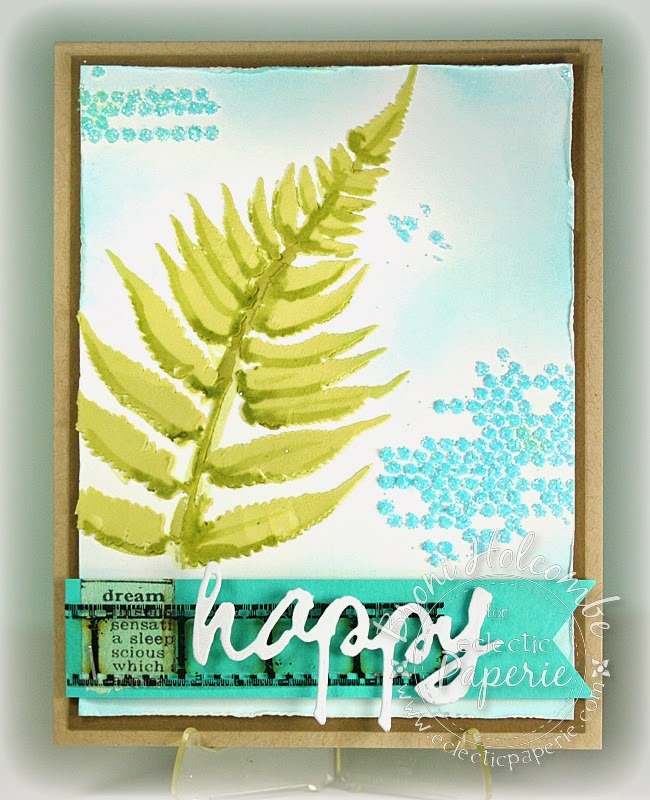 LOVE the design, the colors, the fern, the shading and the embossing! GORGEOUS light and Beautiful card! The film strip is a FAB detail, too!!! Love your mixed media card and the colors are great together. Love this Broni, great job! I love the shading! Gorgeous card. This is my fav color combo.